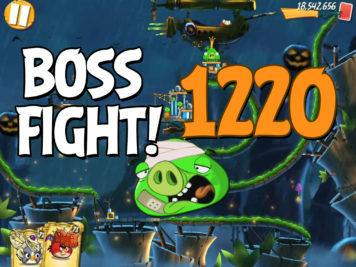 Walkthrough strategy for Angry Birds 2 Boss Fight #174 level 1220 against King Pig in Bamboo Forest Hog Warts. This is a multi-stage level, so fling your birds wisely. 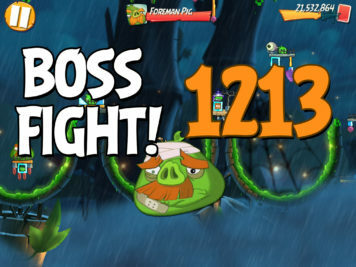 Walkthrough strategy for Angry Birds 2 Boss Fight #173 level 1213 against Foreman Pig in Bamboo Forest Hog Warts. This is a multi-stage level, so fling your birds wisely. 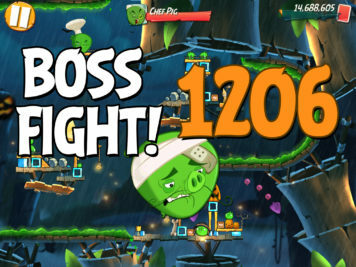 Walkthrough strategy for Angry Birds 2 Boss Fight #172 level 1206 against Chef Pig in Bamboo Forest Hog Warts. This is a multi-stage level, so fling your birds wisely. 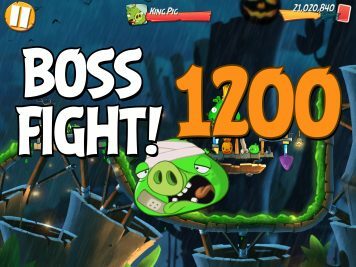 Walkthrough strategy for Angry Birds 2 Boss Fight #171 level 1200 against King Pig in Bamboo Forest Hog Warts. This is a multi-stage level, so fling your birds wisely. 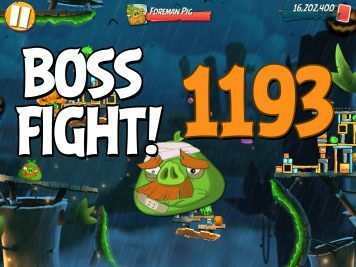 Walkthrough strategy for Angry Birds 2 Boss Fight #170 level 1193 against Foreman Pig in Bamboo Forest Hog Warts. This is a multi-stage level, so fling your birds wisely. 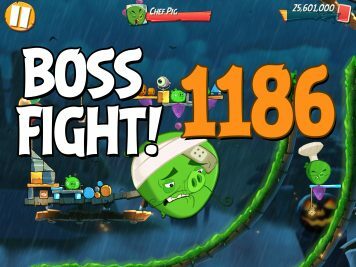 Walkthrough strategy for Angry Birds 2 Boss Fight #169 level 1186 against Chef Pig in Bamboo Forest Hog Warts. This is a multi-stage level, so fling your birds wisely. 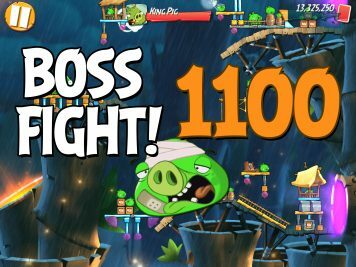 Walkthrough strategy for Angry Birds 2 Boss Fight #156 level 1100 against King Pig in Bamboo Forest Boarneo. This is a multi-stage level, so fling your birds wisely. 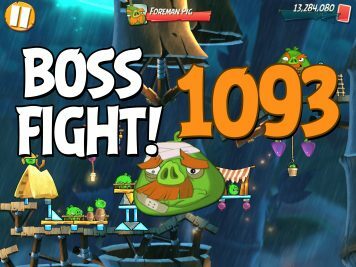 Walkthrough strategy for Angry Birds 2 Boss Fight #155 level 1093 against Foreman Pig in Bamboo Forest Boarneo. This is a multi-stage level, so fling your birds wisely. 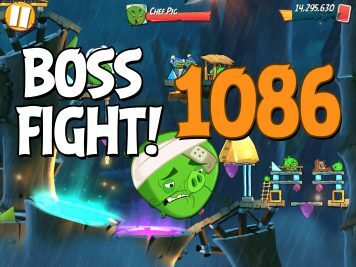 Walkthrough strategy for Angry Birds 2 Boss Fight #154 level 1086 against Chef Pig in Bamboo Forest Boarneo. This is a multi-stage level, so fling your birds wisely. 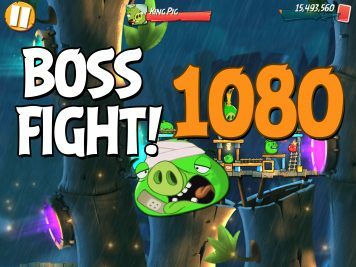 Walkthrough strategy for Angry Birds 2 Boss Fight #153 level 1080 against King Pig in Bamboo Forest Boarneo. This is a multi-stage level, so fling your birds wisely. 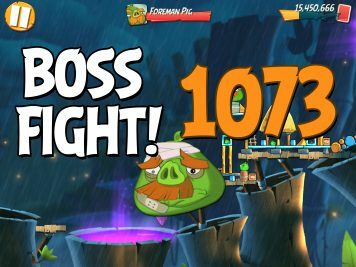 Walkthrough strategy for Angry Birds 2 Boss Fight #152 level 1073 against Foreman Pig in Bamboo Forest Boarneo. This is a multi-stage level, so fling your birds wisely. 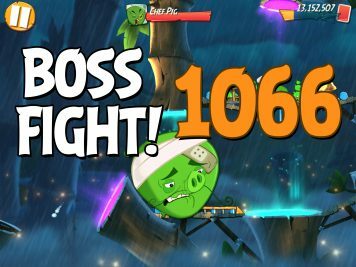 Walkthrough strategy for Angry Birds 2 Boss Fight #151 level 1066 against Chef Pig in Bamboo Forest Boarneo. This is a multi-stage level, so fling your birds wisely. 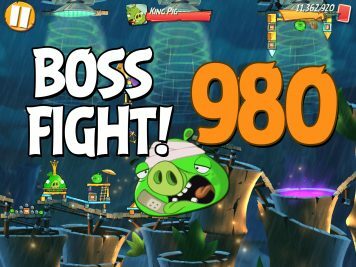 Walkthrough strategy for Angry Birds 2 Boss Fight #138 level 980 against King Pig in Bamboo Forest Central Pork. This is a multi-stage level, so fling your birds wisely.